Anti-Corruption Division - for investigation of cases under the Prevention of Corruption Act, 1988 against Public officials and the employees of Central Government, Public Sector Undertakings, Corporations or Bodies owned or controlled by the Government of India - it is the largest division having presence almost in all the States of India. Economic Offences Division - for investigation of major financial scams and serious economic frauds, including crimes relating to Fake Indian Currency Notes, Bank Frauds and Cyber Crime. Special Crimes Division - for investigation of serious, sensational and organized crime under the Indian Penal Code and other laws on the requests of State Governments or on the orders of the Supreme Court and High Courts. Registration of cases with CBI - what all? 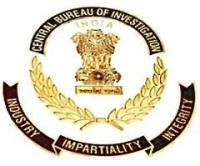 Can CBI take over the investigation of a criminal case registered by the State Police? The Supreme Court or High Courts orders CBI to take up such investigations. CBI is exempted from the provisions of the Right to Information Act. This exemption was granted by the government in 2011 (with similar exemptions to the National Investigating Agency (NIA), the Directorate General of Income Tax Investigation and the National Intelligence Grid (Natgrid)) on the basis of national security. 20 Aug, 2011 : The CBI, the premier anti-corruption investigative agency, is under the Department of Personnel and Training, which is controlled by the Prime Minister's Office (PMO). Secondly, the career prospects of CBI officers and other personnel are dependent on the political executive, and all officers are subject to transfer except the Director. Thus, the investigative arm is controlled by the ‘political suspects' themselves. Thirdly, the Single Directive, a secret administrative directive that was invalidated by the Supreme Court in the Jain hawala case in 1997 (Vineet Narain v. Union of India) has been legislatively revived. Consequently, under Section 6A of the Delhi Special Police Establishment Act, the CBI is disabled from starting an inquiry or investigation against Joint Secretary or higher level bureaucrats without the Central government's prior approval. Therefore, the Prevention of Corruption Act is a non-starter against Ministers and high-level bureaucrats who may act in concert. It is imperative that the CBI's anti-corruption wing be brought under the Lokpal and not under the PMO.